I happened to be over at Jen's Book Thoughts, and when I read her answers to this year-end meme, I knew I had to give it a try, too. There's something about taking stock at the end of a year. As I turned the pages of the book journal that I've kept, I was reminded of what a wonderful reading year this has been for me. I'll have a "statistics" post coming up in the next day or so, but right now, I'd just like to think of some of the most memorable reads I've had in 2011. I resist any attempt to force me to choose one favorite book. In a very real sense, it's like asking a mother to choose her favorite child. Each year I have a page on my blog where I keep a running list of the books I've read and to which I've given the highest ratings. I'm on the verge of finishing my last book of the year, and it has all the signs of joining this list which currently holds nineteen books (making this one of my best reading years yet). Of the books published in 2011, three of my favorites are A Trick of the Light by Louise Penny, Death of the Mantis by Michael Stanley, and A Vine in the Blood by Leighton Gage. I'm not going to list any titles here. I didn't finish reading six books this year. I had a couple that I only rated as D's, and there were several C's. For whatever the reason, these particular books just didn't push the right buttons for me, but I don't think any of them deserve being pasted with a "Worst of" label. Jane Austen's Pride and Prejudice is one of my favorite books of all time. P.D. James is a master of crime fiction. To say I was thrilled to hear that James had taken on Elizabeth and Darcy would be an understatement. 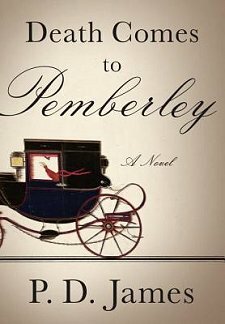 You haven't seen my review of Death Comes to Pemberley yet, but I wasn't smiling as I read the last page. I expect to enjoy each and every book I read, but I was surprised at just how much I enjoyed A.D. Scott's A Small Death in the Great Glen and The Informationist by Taylor Stevens. Scott's Scottish Highlands of the 1950s is vivid and alive, populated with a splendid cast of characters. In Vanessa Michael Munroe, Stevens has created an unforgettable, unpredictable character that I hope to read about for years to come. Whenever I was out and about this year, I seemed to talk to people who had a preference for non-fiction. I may be primarily a fiction reader, but that doesn't stop me from having a recommendation or two! 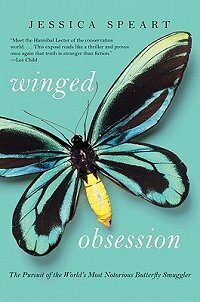 For those non-fiction lovers, I had two books I urged them to read: Winged Obsession by Jessica Speart, and The Poisoner's Handbook by Deborah Blum. The first about the devastation one man has caused in the natural world; the other about two men who were determined not to let poisoners get away with murder. Hands down. No doubt about it. 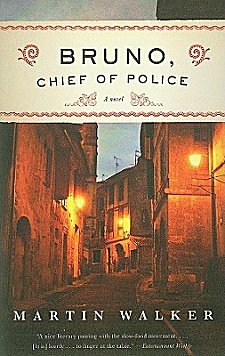 Ain't no changin' my mind--- Martin Walker's charming series featuring Bruno, Chief of Police of St. Denis, a marvelous village in the Perigord region of southwestern France. This series (I've read two of the three books) pushed all the right buttons so hard that some of them are stuck. Of course I have to include the aforementioned Martin Walker, but lounging in the front row with Martin are: Timothy Hallinan, whose Nail Through the Heart is exceptional... as is Barbara Nadel's Belshazzar's Daughter. These three authors opened my eyes not only to wonderful characters but to the countries of France, Thailand and Turkey in ways that will remain with me for years to come. My criterion for this was that it had to be a book that made me laugh so hard that Denis walked into the room insisting that I tell him what was so funny. In contention this year is anything I've read by Jeffrey Cohen (AKA E.J. 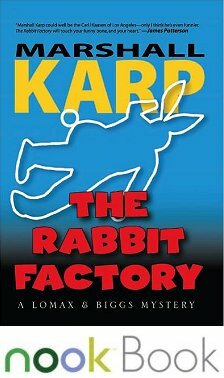 Copperman) and Mark de Castrique's Dangerous Undertaking, but the winner is Marshall Karp's The Rabbit Factory. 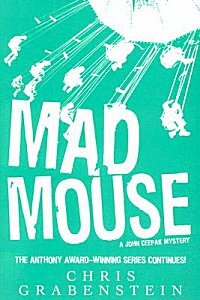 For me, it was Chris Grabenstein's Mad Mouse, and if you know that "mad mouse" is the term for a type of roller coaster, you just might have an a- HA moment! I've never been a "cover junkie." Yes, a cover may draw my eye and make me pick up a book, but my fascination is always with the story. 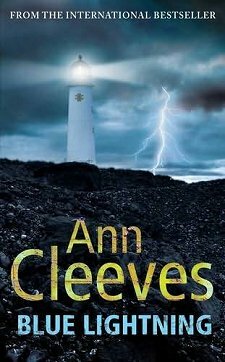 However, this UK cover of Ann Cleeves' Blue Lightning is both striking and memorable with its strong weather, lighthouse and bolt of lightning. Four came to mind almost immediately: Ruby Thomas, the title character of Joseph Wallace's Diamond Ruby; a horse-- Snowman-- star of Elizabeth Letts' The Eighty-Dollar Champion; Andrew Davidson, grieving brother-turned-vigilante in Bill Kirton's The Darkness; and the winner-- Nina Borg, a woman who found a little boy stuffed in a suitcase and refused to shirk her responsibility for his well being, in The Boy in the Suitcase by Lene Kaaberbol and Agnete Friis. 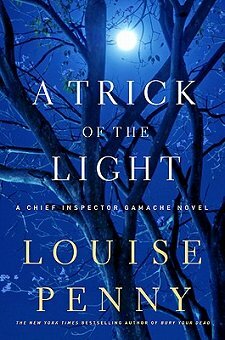 Louise Penny's A Trick of the Light. I love the way this woman writes. It's as if she has a window into my soul. Two (and both because of the characters): Lene Kaaberbol and Agnete Friss' The Boy in the Suitcase and Jessica Speart's Winged Obsession. 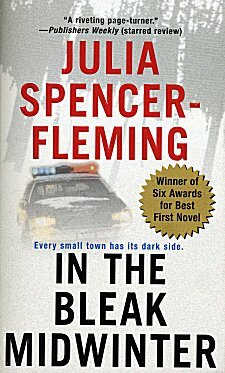 Julia Spencer Fleming's In the Bleak Midwinter, the first book in the Clare Fergusson/ Russ Val Alstyne mystery series. Sometimes I should ignore all the hype and just. Read. The. Book. Already. That's it for the year-end meme. I love reading these sorts of lists, so if you have one, please leave a link so I can go right over there and take a look! My next year-end post will be for all you statistics and chart lovers. Stay tuned! Cathy, interesting list. Just started an Ann Cleaves this morning (White Nights) and you've reminded me that I should try another Chris Grabenstein this coming year. Wishing you all the best for 2012. I really love your choices. There are a few on the list that I haven't read but I'm going to put on my wishlist. Thanks for the reviews. You've made me want to read Diamond Ruby and The Rabbit Factory! This post was a lot of fun! I'm so sad about P.D. James! But I have to admire that she's still writing and giving it a go! I must agree with you about Louise Penny. I follow her blog and admire her so much, but I especially love her characters and her stories. Ooooh, Cathy, I felt exactly the same about DEATH COMES TO PEMBERLY. I'd requested it for Christmas, too. Now I wish my sister-in-law had saved the money or spent it on another book for me. I could just have easily gotten this from the library. Foolish me. I didn't want to be on a waiting list. PLUS the NY Times gave this a good review as did a few other sites. I was SO prepared to love it. My review coming up next week. Another thing: I'm so pleased you are liking Jeff Cohen's books. You should let him know. He is a very appreciative guy. As well as a very funny one. P.S. I love the Julia Spencer Fleming series. Finished the last one this year - ONE WAS A SOLDIER. I've been through the wringer with this series - got very involved. Didn't love the latest book, but still enjoyed it. Happy New Year, Cathy, to you and your family. I have a feeling 2012 is going to be a great reading year. It's so interesting to see everyone's opinions and yearlong memories. My TBR list is growing incrementally! 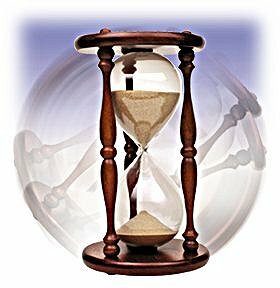 What does the New Year hold for you??? A new book to start the new year? Thanks for sharing this terrific list! Rob-- Happy New Year! Thanks for leaving the link. I've taken a look and taken some notes. These year-end lists always add to my wishlist! Margot-- I became a Karp fan before I was halfway through the book! Jill-- Me, too! Happy New Year! Yvette-- He knows (although I may send him the link to this post). He has been on Scene of the Crime, after all! ;) Happy New Year! What a great year-end list. Love reading about your favorites and what stuck out. I'm def. saving this post for reference later on.